It’s easy to make lazy comparisons between Hong Kong and Macau. 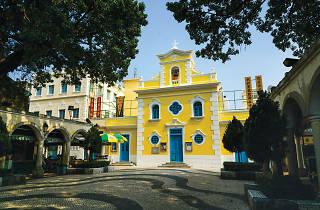 The Macau peninsula is our sister SAR’s Kowloon, grittier in feel, more ‘real’. Its shiny island neighbour, Taipa, can be compared to Hong Kong Island, with its often stark juxtaposition of flashy new structures built almost on top of some impressive historical landmarks. By extension then, Macau’s answer to the New Territories lies in the SAR’s southernmost region, Coloane. Like the New Territories, Coloane can at first appear a little too far from the action (although, at roughly 40 times smaller than Hong Kong, nothing in Macau is ever really too far) and also remains the only part of the city that hasn’t been attacked by developers, despite being much larger than Macau and Taipa. Also like our New Territories, there appears to be ‘less to do’ in sleepy Coloane, but this isn’t the case, with some serious treasures ripe for exploration. Here’s how to spend a day down south, taking in the best of what the area has to offer. With an area of just over eight square kilometres, exploring Coloane on foot should appeal to outdoor types, with several hiking trails suitable for all levels. At 8.1km, Macau’s longest hike, the Trilho de Coloane, begins around the midpoint of the winding Estrada do Alto de Coloane and circles the island. Detour up the Alto de Coloane to see the imposing yet graceful A-Ma statue at the island’s highest point, as well as the serene A-Ma Cultural Village just below. For a shorter trek, try the leisurely Circuito da Barragem de Hác Sá, a 1.5km walk that starts in the Parque de Merendas da Barragem de Hác Sá. It loops around the island’s southern reservoir before ending on the eponymous Hác Sá Beach, named for its black sand. Where to start? The aforementioned A-Ma statue and adjacent village showcase a side of Macau that not many would expect, while also offering one of the best vantage points anywhere in town. A popular first stop on the island is Coloane Village, the main settlement located on the southwest coast. 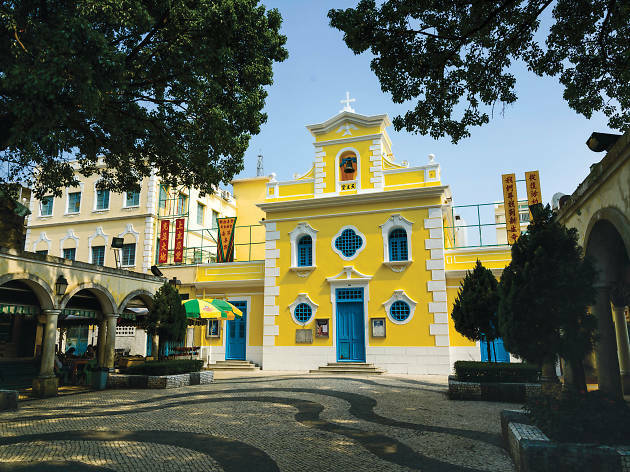 Starting from the Largo do Presidente Antonio Ramalho Eanes, stroll through the cobblestone streets lined with pastel-hued houses to get a true taste of Macau’s heritage, minus the throngs of tourists and high street stores. Highlights in and around the village include the stunning, colourful Chapel of St Francis Xavier east of the town square, the neoclassical-inspired Coloane Library and the sleepy, Insta-friendly Coloane Pier, rebuilt in 1873. From here, head south along Avenida de Cinco de Outubro, a postcard-perfect seaside promenade. Coloane is home to some of the most authentic Macanese food around. The Largo Eanes has been all but taken over by Lord Stow, creator of the famous pastel de nata (egg tart), with no less than four different outlets bearing his name dotted around the village. For a quick fix, head to the original Lord Stow’s Bakery (1 Rua do Tassara, +853 2888 2534; lordstow.com) – the one with queues out the door. Cha chaan tengs are as ubiquitous in Macau as they are in Hong Kong, but you won’t find anything like the family-run Hon Kee Coffee (Estrada de Lai Chi Vun). As well as iconic cha chaan teng dishes, the breezy, open-air café, right by Macau’s former shipyards, and with a canopy and large trees for shade, is best-known for its handcrafted coffee, still mixed by the owner himself as a sign of hospitality. The secret isn’t so much in the bean – tins of Nescafé aren’t exactly hidden – but rather in the mixture. Water, sugar and coffee are rapidly hand-stirred for about 400 rotations, until the liquid has a similar texture to peanut butter. It’s then topped with boiling water, causing a light foam to rise to the surface, before being finished with milk. For larger meals, Fernando’s (9 Praia de Hác Sá, +853 2888 2531; fernando-restaurant.com) in Hác Sá is arguably Macau’s most famous restaurant and it’s plain to see why – generous portions of classic comfort food with a friendly price tag and beachside vibes that make the perfect end to a day exploring a completely different side of Macau.